Can you believe it? July is over and seven months of 2008 are gone. Here’s to a great August. I am very pleased to share with you in this edition of The Background Buzz the results of the survey we conducted at the SHRM Conference. You may be surprised by the results. Be sure to read the summary of the survey. about doing so. You should know that we previously supplied these leads to our Platinum Members, Premium advertisers in The Employment Journal and Special Promotion Campaigns. So don’t miss out on this chance to get some qualified leads. On a more personal note I just cleaned out my garage and dusted off my 1974 Triumph Spitfire. It needs some work and I wondering if there are any car enthusiast in the group that has a good source for me to get parts for my British wonder. Your help will be greatly appreciated. Thanks again for your reading our newsletter and have a fabulous day! With November just around the corner background screening firms are making preparations to comply with a final rule on address discrepancies from consumer reporting agencies. The Federal Trade Commission, the Comptroller of the Currency, the Office of Thrift Supervision, the Federal Reserve System, the Federal Deposit Insurance Corp. and the National Credit Union Administration issued a final rule in the Nov. 9, 2007, Federal Register, concerning address discrepancies under the Fair and Accurate Credit Transaction Act of 2003 (FACT Act) and identity theft red flags. 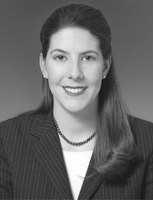 Covered entities must be in full compliance with the rule by Nov. 1, 2008. The final rules state the actions that an employer must take upon receiving an address discrepancy and apply to all employers conducting background checks, not just businesses extending credit. Thousands of Marylanders have had their arrest records removed from public view because of a new state law that requires automatic expungement for those who are detained and released without charge. Proponents say the nine-month-old law is working as intended, removing potential barriers to obtaining employment, housing and loans. Another major change in state expungement law takes effect Oct. 1, when some criminal convictions in Maryland can be wiped out without a pardon from the governor. The changes are seen as especially important in Baltimore City. Tens of thousands of residents, many of them young men, have minor criminal records - sometimes as a consequence of "zero-tolerance" policies that result in large numbers of arrests without charges or convictions. The Internal Revenue Service has changed the due date for filing deadlines on certain business tax returns from Oct. 15 to Sept. 15.The change helps taxpayers who must report information from Schedule K-1 - income, deductions and credits from partnerships, S corporations, estates and trusts - on their individual tax returns.The filing extension has been the same for both businesses and individuals. Now, the businesses will file their returns a month earlier, giving the individuals the information they need to file their returns Oct. 15. We are eliminating the same-day deadline for these returns, which causes needless hardship and puts the individual taxpayer in an awkward position,” said IRS Commissioner Doug Shulman. “We want to correct this timing issue to ensure that all taxpayers have the information they need to file timely and stay in compliance with the law.”This change applies to business entities that file the following returns and forms that have a tax year ending on or after Sept. 30, 2008. With talk of the growing risk of organized retail crime, active shooters and data breaches getting prime spotlight at this year's National Retail Federation's Loss Prevention Conference & Exhibition, the news that inventory shrinkage as a percentage of sales fell to its lowest level in 17 years in 2007 was warmly welcomed. The shrink rate of 1.424 percent represents a 9.3-percent decline from the 2006 results of the National Retail Security Survey, said Dr. Richard Hollinger, professor of criminology, law and society at the University of Florida and author of the report. This figure marked a six-year downward trend and is also the lowest rate in the history of the NRSS. Total losses – $34.38 billion -- were also down approximately 15 percent, while LP budgets as a percentage of sales reached a seven-year high of 0.62 percent. When John Hoeffner, an accountant, filed papers to incorporate a company called Mr. John, he had no plans to specialize in the portable toilet business, prosecutors said on Wednesday. Instead, the fictitious company was part of Mr. Hoeffner’s plan to embezzle millions of dollars from his employer, Tishman Construction, according to the Manhattan district attorney’s office. Mr. Hoeffner, 47, of Beechhurst, Queens, was charged on Wednesday with grand larceny in a ruse in which prosecutors said he stole $2.8 million. He faces 20 other charges and could spend up to 25 years in prison if convicted. On Jan. 30, Mr. Hoeffner was sentenced to community service and probation and ordered to pay restitution for a similar embezzlement plan in which he stole nearly $400,000 when he worked for a different construction company, Bovis Lend Lease. In the Tishman case, prosecutors accused Mr. Hoeffner of creating fake invoices and checks from March 31, 2006, to May 13, 2008, for a Tishman construction project at Albert Einstein College of Medicine of Yeshiva University in the Bronx. He created the fake documents along with real ones that he used to pay the vendors that Tishman had hired, the prosecutors said. How long should a CRA keep a consumer report? City prosecutors and San Francisco Mayor Gavin Newsom were still seeking to resolve the crisis by having experts try to take back the city's compromised network from 43-year-old Terry Childs, who was arrested when he refused to relinquish network control. There's worry that Childs, who has worked for the city for five years but faced firing for alleged poor performance, may have installed the means to electronically destroy sensitive documents. Childs, being held in a jail cell on $5 million bond, also happens to be a former felon convicted of aggravated robbery and burglary stemming from charges over two decades ago, which the city knew when it hired him as a city computer engineer. 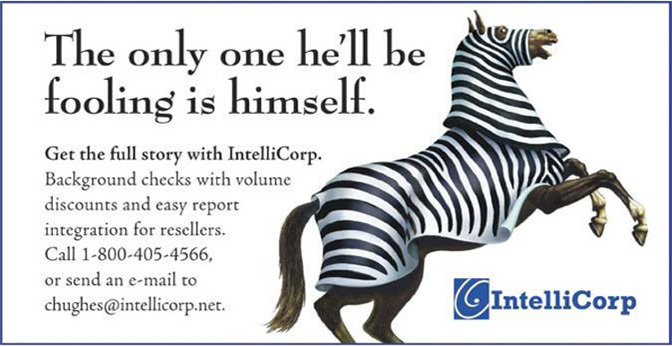 And in another IT insider case, William Sullivan, the former database administrator at Fidelity National Information Services (not related to Fidelity Investments) in Jacksonville, Fla., this month was sentenced to 57 months in prison and ordered to pay $3.2 million in restitution for a crime he committed through his power to gain access to databases in the Certegy Check Services division of the firm. Sullivan pled guilty in November to stealing consumer information on 8.4 million people in the United States and various foreign countries, including bank account and credit and debit card information, and selling it for about $600,000 to marketing firms between 2002 and 2007. So far, there's no evidence the information has been used for other than marketing purposes. Ted L. Moss has been named the Rotarian of the Year by the Berea, Ohio Rotary Club. Ted L. Moss, CPP is the President and CEO of Crimcheck.com, one of the nation's leading pre-employment screening providers. Mr. Moss is an expert on matters of pre-employment screening, identity theft, Fair Credit Reporting Act compliance, and safe hiring practices. Additionally, Mr. Moss is a past Regional Vice President for ASIS International, the preeminent organization for security professionals and a member of NAPBS and SHRM and a proud Rotarian. He has previously won the Paul Harris Fellowship Award, one of the highest honors that can be bestowed upon a Rotary member. If you would like to learn more you can visit Mr. Moss's website at www.tedlmoss.com or visit his business website at www.crimcheck.com. Background Checks An Emerging Differentiator Among Staffing Firms? Todd Owens, General Manager of Screening Services at Intelius to speak at onrec.com's third annual Online Recruitment Conference & Expo 2008 in Chicago, on September 9 & 10, where the industry’s global recruitment visionaries, award winning authors and recruitment thought leaders will deliver a high profile, exceptional value program that you won’t want to miss! If you’re not talking about your sophisticated, complete candidate screening solution with your customers, beware: your competitors are. And they’re winning in your market. 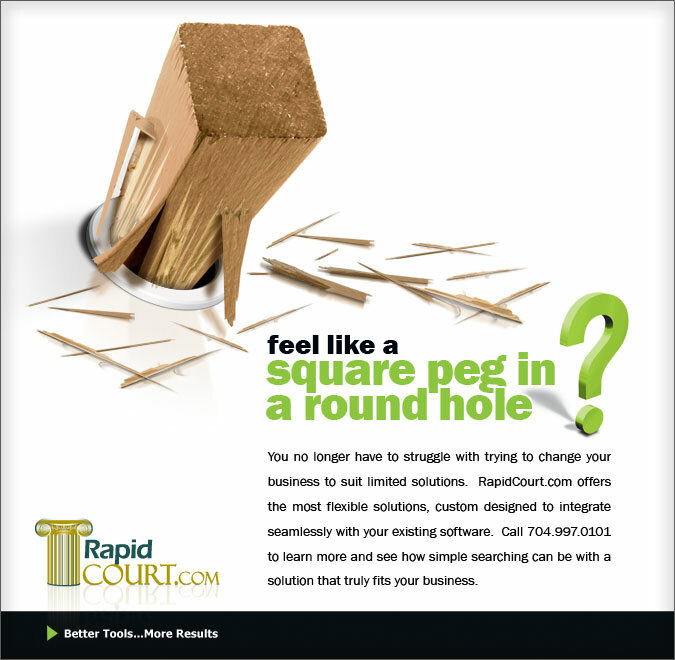 Background checks no longer need to be a pesky cost-driver for your business; a painful check in a box. Addressed early in your sales cycle and in partnership with a capable screening firm, your background check offering can quickly differentiate your staffing services from those of a competitor, increasing your sales, productivity and retention of key accounts. By presenting a comprehensive array of robust and price-competitive screening options in collaboration with your unique staffing solution, your prospect will immediately have a higher level of trust in the quality of those you place, and greater loyalty to you, their partner and staffing expert. TazWorks, LLC a web-based background screening software company has teamed up with Convergence Research, to deliver the most Simple.™ Powerful.™ software in the industry. The partnership will combine the power of TazWorks InstaScreen Premiere 2.0™ with the accuracy and reliability of Convergence, a wholesale criminal researcher. “For 15 years we’ve been dedicated to giving our clients a competitive advantage by partnering with leading solution providers. Convergence Research is a perfect fit. They share our commitment to provide superior products and excellent customer service. The accuracy and attention to detail of Convergence Research combined with our InstaScreen™ will be a powerful asset for background screening companies,” said Barton Taylor, president of TazWorks. The “Special 301” Report is an annual review of the global state of intellectual property rights (IPR) protection and enforcement, conducted by the Office of the United States Trade Representative (USTR) pursuant to Special 301 provisions of the Trade Act of 1974 (Trade Act). The 2008 Special 301 review process examined IPR protection and enforcement in 78 countries. Following extensive research and analysis, USTR designates 46 countries in this year’s Special 301 Report in the categories of Priority Watch List, Watch List, and/or Section 306 Monitoring status. This report reflects the Administration’s resolve to encourage and maintain effective IPR protection and enforcement worldwide. The following results are based on a survey that was conducted at the 2008 SHRM Annual Conference in Chicago at the exhibit booth of PreemploymendDirectory.com. HR professionals that visited our booth were asked to participate in the survey and to complete the questionnaire. A total of 233 people completed surveys in varying degrees. While this survey does not rise to the level of being statistically significant we believe it offers some interesting insights on how clients are feeling about their background screening service provider. 1. Are you considering changing you current background screening provider in the next 12 months? That May Be Interested in Changing Suppliers? In a slow economy, the first part of the budget to get cut is often marketing. While some cuts may be justified, deep cuts are a mistake. Now is the perfect time to make potential customers aware of your company. Companies who market aggressively during a slow economy are the first to secure sales when the economy improves. HRmarketer.com offers three resources to help your company maintain visibility, improve traffic to your web site and generate sales leads during a slow economy. How to Reach and Engage Human Resource Buyers and Convert Them to Leads. This new eBook is a 29-page, three-step marketing guide to achieve increased publicity, web site traffic, improved SEO and more HR sales leads – at minimal cost. The average direct financial loss to companies has risen to US$2.4m from US$1.7m during the period 2005-2007. Fraud remains a major threat to companies around the world. Nearly half of all organisations (same level as 2005) reported they were victims of some form of economic crime in the past two years, according to a survey. The average direct financial loss to companies has risen nearly 40% to US$2.4m from US$1.7m during the period 2005-2007. The biennial survey, PricewaterhouseCoopers' 2007 Global Economic Crime Survey, revealed that of the 43% that experienced economic crime in the last two years, the total direct losses exceeded US$4.2bn. The losses arose from a variety of economic crimes, including asset misappropriation, accounting fraud, bribery and corruption, money laundering, and intellectual property infringement. Of those reporting fraud, 88 % reported the fraud had damaged their brand and impacted staff morale, 84 % said it had harmed their relations with other companies, and increased the costs of dealing with regulators, and 69 % said it had negatively affected their share price. Theft was the most common type of fraud, reported by 30 % of those who said they had experienced economic crime. Of those responsible for committing fraud, more than half were employed by the defrauded company, 26 % in senior management. Mumbai - The Employer Services segment of First Advantage Corporation (NASDAQ: FADV), Asia-Pacific's largest background screening and talent acquisition solutions provider, has released its pioneering quarterly report "Background Screening Trends – India". Background screening is rapidly gaining acceptance across different industry verticals. First Advantage, credited as the pioneer of background screening in India, has assimilated the best practices prevalent globally to the Indian context. "Background Screening Trends – India" sets another precedent by providing employers with data that can be used to benchmark their background screening experience against industry standards. It also highlights the need for employment and education checks to be part of the background verification process as against the usual practise of limiting it to reference checks. The IT-BPO industry is becoming increasingly clear that a fake resume can cost you your job with India's largest IT servIces provider, Tata Consultancy Service (TCS), being the latest to recently ask close to 20 employees at its Kolkata centre to leave. The company, during the background verification, found that these employees have used fudged resumes to get jobs. In the recent past all the major IT firms including Infosys, Satyam and Wipro Technologies and many mid-cap firms have taken a hard stand on fake or fudged resumes. However, the incidents continue. *Please note that the universities listed here have not been vetted by us so please be cautious in using this information and make sure you validate information before acting on it. We accept no responsibility for the accuracy of this information and disavow any responsibility for results that may arise by using the information. 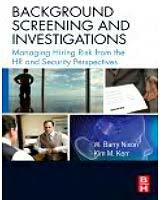 Despite the economic realities many firms have not institutionalized background screening as a part of their selection process. Resistance to making background screening mandatory persist despite firms like Tata Consultancy Service which recently summarily terminated the services of twenty junior employees for faking information on their resumes which came to light through background screening. However, at senior levels, there are several tainted managers who seem to be hopping from one company to the other with effortless ease. Among the first Indian background screening that has sought to differentiate itself in terms of institutionalising its processes is Bangalore based Verifacts. Owned and operated by a former army officer, the firm conducts background screening for five of the top ten IT majors. The firm has recently acquired an ISO certification from BNV, the most credible ISO certifier. In a business which continues to be fragmented, this management initiative of Verifacts is probably a sign of things to come. The best practices in the background screening business are usually set out by the US based National Association of Professional Background Screeners. The majority of North American background screening companies are members of NAPBS and self-regulate themselves on the basis of the Association's charter of best practices. 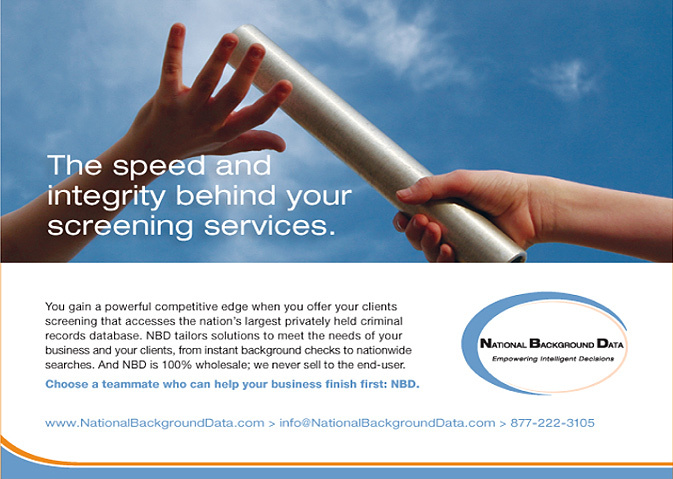 A few Indian background screening companies are also aligning their operating model to that of NAPBS. One of them is New Delhi based TACT India which is also owned and managed by a former army officer, Capt Akhilesh Kapoor who has been able to draw some retired general officers to his firm. Casino owners will undergo in-depth criminal and financial background checks before being granted a licence under new proposals revealed today. A new report recommended business dealings and tax history must also be scrutinised in a bid to combat money laundering in the gaming trade. The government appointed casino committee said that if gaming laws are updated, a new regulatory body should develop and implement anti-money laundering strategies and have the power to enforce the law and prosecute. Some 32 recommendation were made in the report of the casino committee - Gaming in Ireland - which will be scrutinised by a cross-party committee after the summer recess. Justice Minister Dermot Ahern said he was anxious that the government get things right in relation to gaming and betting codes. "I want to ensure that betting and gaming activities are carried out within a responsible framework that recognises the reality of these activities, but which ensures they are properly managed, particularly as regards problem gamblers," he said. South Korea, Asia’s third-largest economy, is becoming more information-intensive, requiring increased employment of technicians and information-technology specialists. The demand for such highly skilled workers, combined with a decline in Korea’s population growth, has caused employers to recruit Korea’s seniors to fill gaps. In order to persuade seniors to keep working past the accepted retirement age, employers are providing the necessary education and training. While there is a focus on seniors, overall, and interestingly despite being perceived as one of the most male-oriented societies in Asia, Korea has witnessed an increase in the participation of women in the workforce. One in six graduates lie on their CVs to get a good job, according to new research. Students completing arts and humanities courses are most likely to be guilty of "embellishment" - along with those with relatively poor degree results, it is claimed. Graduates have been found fabricating employment histories, lying about previous job responsibilities and inflating their degree mark. Some job applicants were even guilty of hiding criminal records from would-be employers. According to the report by Powerchex, the City-based employee screening company, students from former polytechnics are among the worst offenders. The statistics are well documented. Thefts by staff cost UK businesses 100's of millions of pounds. But employers, it seems, are increasingly galvanised in efforts to reduce the alarming statistics. Recently, plans were announced for an employer crackdown on staff who are caught stealing, or committing forgery or fraud, were announced by Action Against Business Crime (AABC). The National Staff Dismissal Register (NSDR), as it will be known, is due to be launched any time now. The register will contain details of employees who have been dismissed for acts of dishonesty or who have left employment whilst under investigation for such conduct. Employers who subscribe to the register will be able to search against the names, addresses, national insurance numbers and dates of birth of prospective employees for any entry against those details. Records will be retained for five years. From a data protection perspective, NSDR presents many practical and legal challenges, both of which leave employers potentially exposed if the information they provide breaches their data protection obligations and/or is wrong. An added risk is that they may be exposed to costly defamation actions. AABC claims to have consulted the office of the Information Commissioner regarding NSDR. It seems likely that a more public expression of his views will now be called for in respect of this project. We have enhanced our International Resource Center to be a valuable resource for anyone looking for information on doing international background verifications, vetting or verifications. It includes information on international data protection and other laws, terrorist searches and much more. Also included is very practical information on time zones, locating cities, holidays in different countries, etc. For International Students and Professionals, information and links about coming to the United States, recognition of foreign qualifications, accredited U.S. institutions and programs, avoiding frauds, and financial aid. For International Educators and Officials, information about the U.S. education system, U.S. accreditation and quality assurance, recognized institutions, avoiding fraudulent providers, and related resources. For U.S. Students, information about studying abroad, financial aid, and links to official information about education in other countries. For U.S. Educators, information about international education, other education systems, teaching overseas and the recognition of foreign education within the United States. For U.S. Human Resources Professionals and Officials, information about foreign education systems, recognized foreign institutions, and U.S. credential evaluation for foreign degree-holders. Bookmark this valuable resource so you can use it over and over. This week we have the pleasure of talking with an icon in the industry, Bruce Berg, CEO of Berg Consulting Group and Background Screening Jobs. community and don’t even play golf, although, I am at the fitness center three times a week. My biggest outside activity is my grandson, he’s about to turn six and is a blast," says Bruce. Although a sports fan, Bruce moved around quite a bit early on in his career, and consequently was not able to develop a favorite team. "I really like the Buccaneers, but it is kind of hard to get behind the Dolphins, Marlins or Jaguars. Oh, I also really love the Williams sisters, I just think that they are great, I really give them kudos. They actually live two streets down from me." While owning two businesses keeps this grandfather busy, Bruce indicated he recently purchased an iPod and loaded 14 books on tape on it. " I am not really into music that much, although I love "American Idol" and "So You Think You Can Dance," but when it comes to music, if it came out after 1962 then I just can¢t relate to it,"says Bruce. Like most people who work hard, playing hard is part of the equation and Mr. Berg is no exception to that rule. A frequent traveler, Bruce will be taking a month long vacation to New York later this year. "We plan on taking in some theatre, shopping and a little business." Most recently he went on a safari in Africa and says it was the most phenomenal trip he has ever taken. From a business perspective, both his companies and the industry, Bruce sees strong growth ahead. "In the short range, especially in the next five years, background check companies are going to continue to expand and generate more and more income. For me, I have my reputation to rely on, so I do not have to do a lot of advertising, plus I have a lot on my plate and I am not really interested in growing any more than what I already have," says the CEO. Sounds like Bruce is in a very comfortable business niche and a very good place in his life. For More Information on Berg Consulting or Background Screening Jobs contact Bruce Berg at Phone 561-712-1277 or bruce.berg@bergconsultinggroup.com.